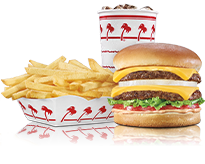 In-N-Out Burger - San Ramon, CA, 2270 San Ramon Valley. Welcome to our restaurant in San Ramon, CA. 10:30 a. m. - 10:00 p.m.